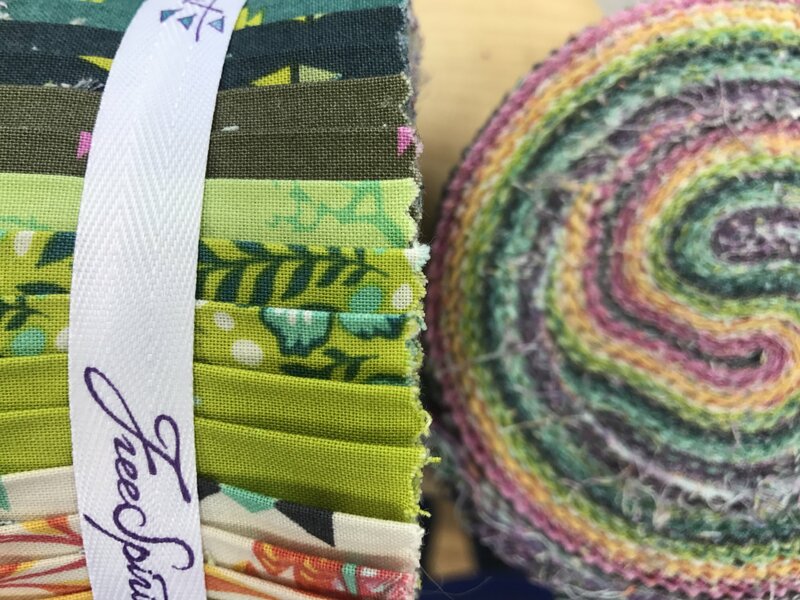 Join Ivonne Davila-Beegle in this monthly class to learn new ways to use those wonderful sets of strips commonly known as "jelly rolls". These are sets of strips packaged together in coordinating colors and prints, usually in a pack of 42 strips but sometimes available in smaller sets. You may bring your own or purchase a strip set here, you can even cut your own (prior to class) 2 1/2" strips from your favorite bolts of fabric.